How do I get started with Chit Chats? Congratulations! We are now ready to receive your shipments. 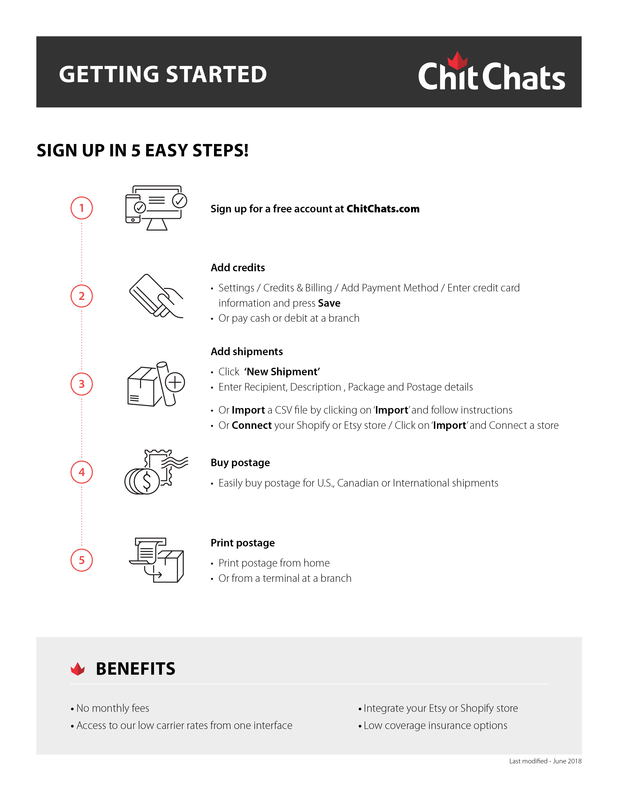 *If you would like to use another U.S. carrier or want to print your postage outside of Chit Chats you will still need to import your shipments into our system to get them ready.